If you have lost one or more of your teeth, or if you have dental issues that may require more complex treatment to restore your teeth, reconstructive dental care can provide significant results. Reconstructive dentistry options at The Paddington Dental Surgery include a variety of advanced treatments. We offer procedures that help to correct common problems that may be having an effect on the appearance of your teeth as well as your ability to speak and chew properly. Our dentists can perform procedures such as dental implants and oral surgery right here at our practice without having to refer you to another clinic. With reconstructive dental care, The Paddington Dental Surgery can replace missing teeth with results that look and feel natural, creating a beautiful long-lasting smile. Dental implants are permanent replacements for missing teeth. Unlike traditional dentures, implants are designed to both look and act like your natural tooth and actually become a part of your mouth. They do not slip or move around along the gumline and there is no daily maintenance required other than your normal dental hygiene routines. All-on-4 implant dentures can replace a full arch of missing teeth with beautiful, lasting results. If traditional removable dentures offer an uncomfortable fit, difficulty chewing and eating, or other concerns, All-on-4 from our practice can provide a secure and state-of-the-art alternative. Using just four dental implants, All-on-4 delivers nearly all of the benefits of a full set of implants without the drawbacks of traditional dentures. Implant-anchored dentures from our skilled dentists can replace several or all missing teeth on the upper or lower jaw with greater comfort than ever before. Using fewer dental implants than a full set, implant-supported dentures provide a secure fit with lasting results and a beautiful outcome. Another effective treatment for patients with missing teeth is a dental bridge. These treatments offer an excellent option for patients to improve functional and aesthetic issues that may be caused by the loss of teeth in specific areas along the gums. A dental bridge involves custom-designed, artificial teeth carefully and durably placed between the natural teeth that lie adjacent. This gives surrounding teeth added stability and replaces the missing teeth with natural-looking results. For patients who may not be candidates for dental implants, dentures can be a viable alternative. These treatments help patients who have lost one or more teeth to improve their ability to speak , chew, and enhance the appearance of their smile. Our practice offers both full and partial sets of dentures that can be custom-designed for the upper or lower parts of the mouth. With advanced treatment options, dentures can be very comfortable, natural-looking teeth replacements. Our dentists and oral surgeons provide a comprehensive range of oral surgery procedures right here in our office. 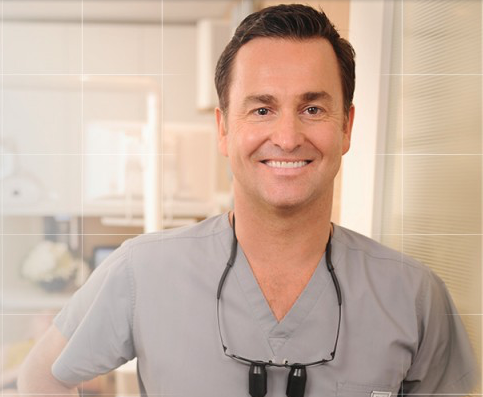 Procedures include oral and dental surgery, tooth extraction, crown lengthening, dental implants and more. In the recent past, most fillings were comprised of metal (silver and mercury) that could make dental work visible when smiling and also may have presented a health risk. However, the latest materials make it possible to perform minor restorations with fillings that blend in with your natural teeth and reduce the potential for biological and environmental harm. At The Paddington Dental Surgery, we use mercury-free, tooth-coloured fillings to correct damage and decay. As part of our holistic approach to dentistry, we are committed to providing you with state-of-the-art dental care that supports a wellness lifestyle. If damage is more extensive than a filling can correct, an inlay or onlay may be an alternative option. In the event there is insufficient tooth structure for a typical filling, an inlay or onlay often can provide the necessary coverage to restore the tooth without resorting to a dental crown. As with our fillings, our inlays and onlays are made of advanced, tooth-coloured materials to give you a beautiful result without any obvious signs of treatment. An inlay typically will be used on the rear teeth to address widespread damage on the bite surface of the tooth, between the cusps. An onlay is a more extensive technique that can also restore decay located on the cusps. Both techniques offer strong, long-lasting, and natural-looking dental repair. Porcelain dental crowns are designed to restore the strength and beauty of a tooth after damage or decay. Also used with dental implants, dental crowns are used to “cap” a tooth or post to achieve a beautiful and functional result. For your safety and results, we utilise the highest-quality materials for our crowns, and CEREC® technology allows us to provide same-day restorations in many cases. For more information on our reconstructive dental care or if you’d like to schedule a consultation, please contact us today.